Having ‘opened shop’ about a month ago, we’ve had a great deal of interest in our products, it’s quite exciting! The first kit for a customer is due to be dispatched this week, one of the Sten MkVs. The production version of this kit (see the prototype here) is a little different from the prototype we showed earlier. There are a couple of external differences: we have added a (real steel) sling swivel to the top of the buttstock and the pistol grip has changed shape slightly to more accurately reflect the original. Inside we have made some changes too. 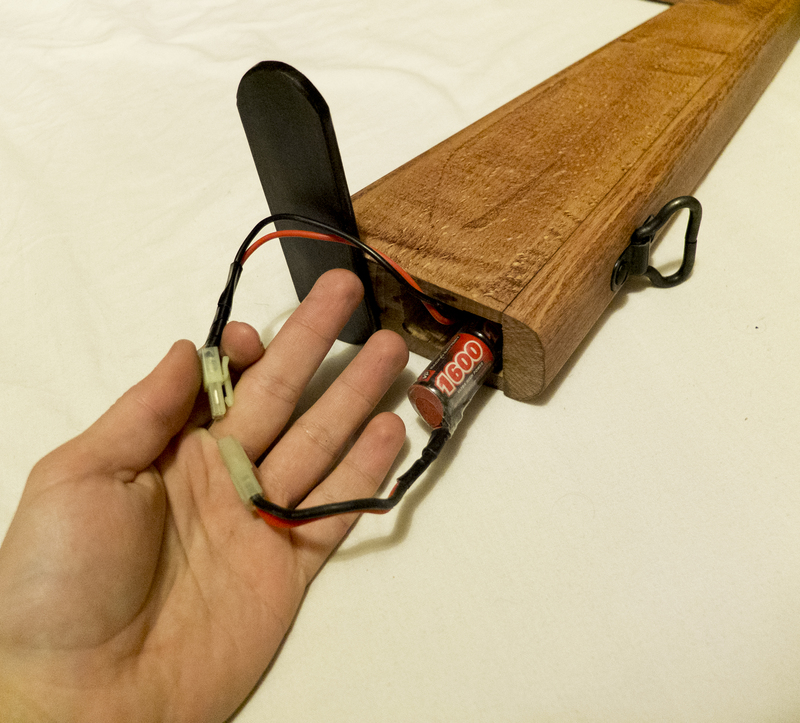 Due to a request from the customer we have tweaked the battery compartment so that it can accept a LiPo battery. We also made space for the stick battery in case he ever needs to use them. Due to the upgrades, this version will be a little more expensive than the prototype at £145 as it does cost more to buy in parts and a bit longer to make. So, what is in store for 2015? We have a few Sten kits due for release in the first two months as well as two custom projects in the pipeline. Dom really wants to build some realistic bolt-action rifles with the magazines in the correct place: something seriously lacking in affordable period rifles, he has the design, just not the funds! Dave is developing an AEG version of a very popular series of carbines that is currently only available in a gas version (unless you count the horrendous plastic ones). Merry Christmas from us here at Vintage Airsoft! 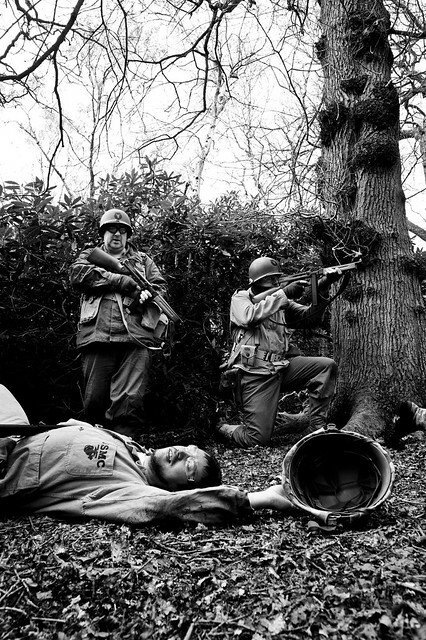 It’s been a busy week here at Vintage Airsoft, I’ve been drafting up business plans to try and secure funding so that we can expand and fund more development of some exciting projects! The Battle for Spilamberto. Coming under heavy fire, the American team is surrounded. Fireball Squadron, Birmingham. April 2014. 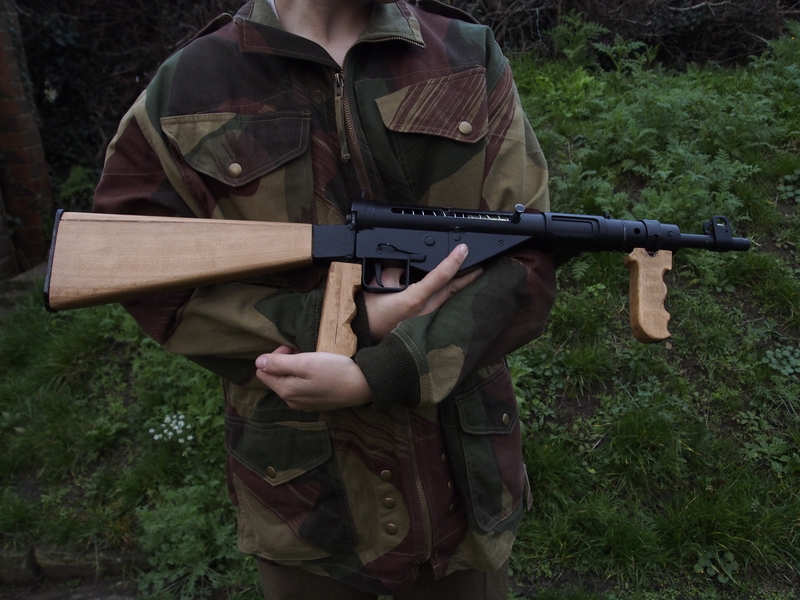 Some of you may have noticed that in the MkV post, my Sten looked a bit different from the standard ASG Sten (and not just because of the load of wood attached to it!). Due to the shape of the AEG internals, it is not possible to fit a real steel spring so I made up a jig that would allow me to bend some wire to a consistent angle repeatedly. This created a wire zig-zagged like half a spring, but flat. Pressing this along the outside of the Sten longways bends it roughly to shape for the inside of the gun. Although it can be inserted through the back of the gun, I found that it made the ‘spring’ get stuck on the back of the gearbox. Instead, I removed the fore-end and slid it in backwards, easing it along with a pair of pliers. 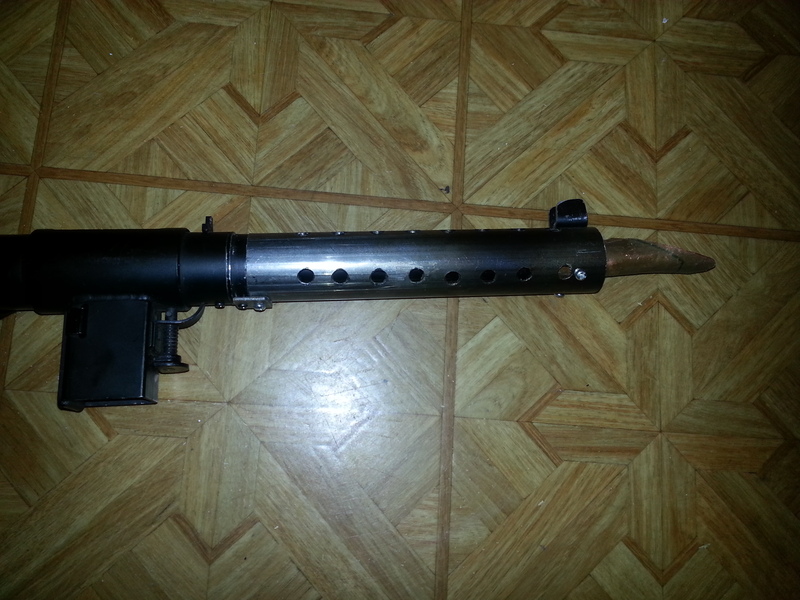 The fake bolt-carrier I used is actually made from a sardine tin lid. The finish on this is of course rustproof within reason, making it ideal. 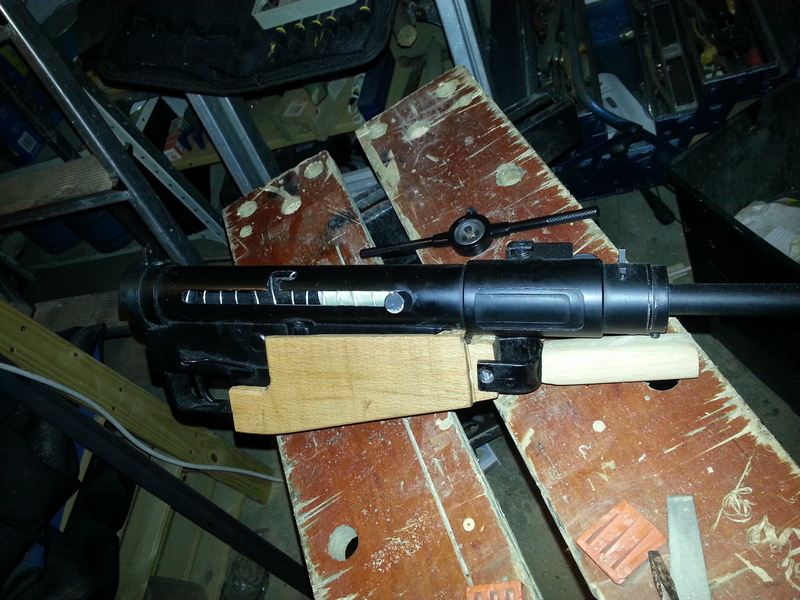 Again, I bent it to shape outside the Sten and just slid it in through the fore-end. In the longer run, I plan on replacing this with a piece of brass sheet and offering it as a kit, once I have made a cover for the rather ugly hex-bolt that comes with the original gun.